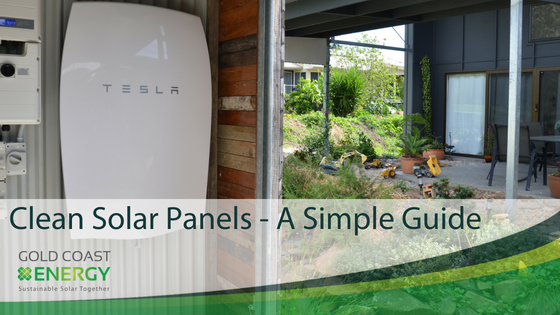 Clean Solar Panels in No Time! We love our trees, they are beautiful and clean the air we breathe. However, their leaves can make it hard for your solar system to operate properly. These leaves can lead you to look into how to main clean solar panels. 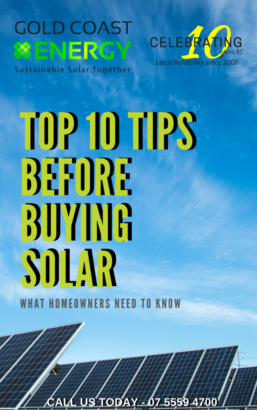 Firstly, you’ll need to look at cleaning solar panels and secondly you’ll need to consider preventative measures to stop leaves from gathering in the future. Cleaning solar panels is a job that can put most people off. However the process is quite easy if you have the right equipment. Invest in a gurney and they will be spotless in no time at all. Seeing the increase in power generation will encourage to you make it a regular job on your ‘to do list’. After cleaning our solar panels, we saw our power production increase by a whopping 20% (find out more about the benefits of clean solar panels here). Preventing leaves from making a mess of your panels in the future is also a very straightforward process. Simply purchase a roll of gutter mesh from your local hardware store and place a strip along the top edge of the panels. This should ensure you don’t have to battle leaves on too many occasions throughout the year and you can enjoy your solar system and clean energy in peace. We recommend cleaning your panels every six months, depending on where you live. If they are enduring salt spray then 3 monthly for optimum performance from your solar system. 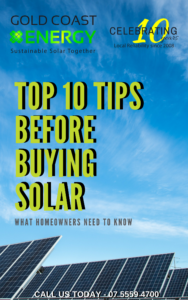 Although this may seem excessive, dirt or excess grime can have significant detrimental impacts on the overall performance of your solar system. If you notice that performance is suffering after cleaning your panels, please call Gold Coast Energy on 5559 4700 and we will be happy to organise a solar system audit for you. We go beyond installation are a committed solar servicing company.